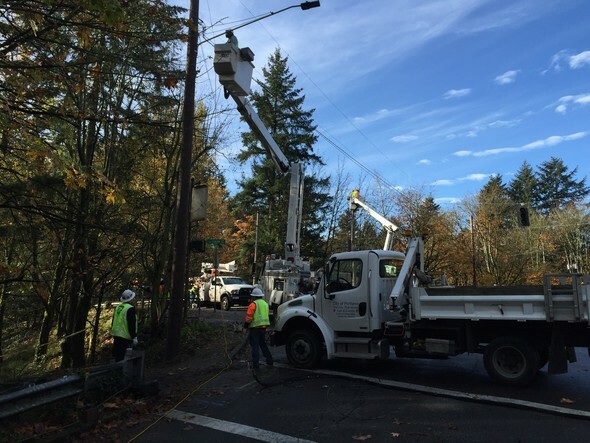 (Nov. 3, 2016) UPDATE: Thanks to the hard work of PBOT's Signals crews, SW Capitol Highway and Terwilliger Boulevard REOPENED at approximately 3:45 p.m.
(Nov. 3, 2016) – The Portland Bureau of Transportation advises the traveling public that emergency traffic signal work to repair damage from a crash this morning is expected to keep the intersection of SW Capitol Highway and Terwilliger Blvd closed through evening rush hour. The traveling public is advised to avoid the area, obey all street closed signs and directions by reader boards and proceed with caution when driving along detour routes. Please plan for extra travel time for your commute today as crews work to make repairs. Detours and road closures are in place. 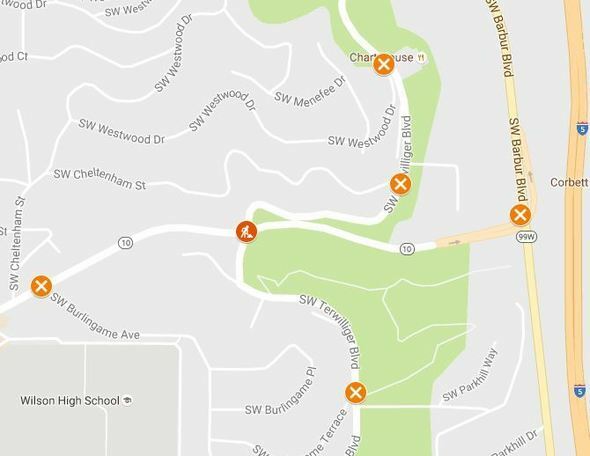 SW Capitol Highway is closed in both directions at SW Barbur Boulevard east of the crash site and at SW Burlingame Avenue, to the west of the site. Expect the intersection of SW Capitol Highway and SW Terwilliger to be closed through evening rush hour. The traveling public is detoured via SW Bertha Boulevard and SW Sunset Boulevard. People driving from the downtown area should plan to use Interstate 5 or SW Barbur Boulevard to reach SW Bertha Blvd to the south of the area. People heading west of the closure should expect to use U.S. 26 or other routes to reach SW Sunset Blvd. People biking and walking should avoid the closure area area for their own safety and the safety of PBOT crews. This includes anyone using trails in George Himes Park. A car crashed into a utility pole before dawn, damaging power lines and traffic signals. The crash destroyed electrical wires and pedestrian and traffic signals. Crews are reassembling some wiring harnesses and other equipment. 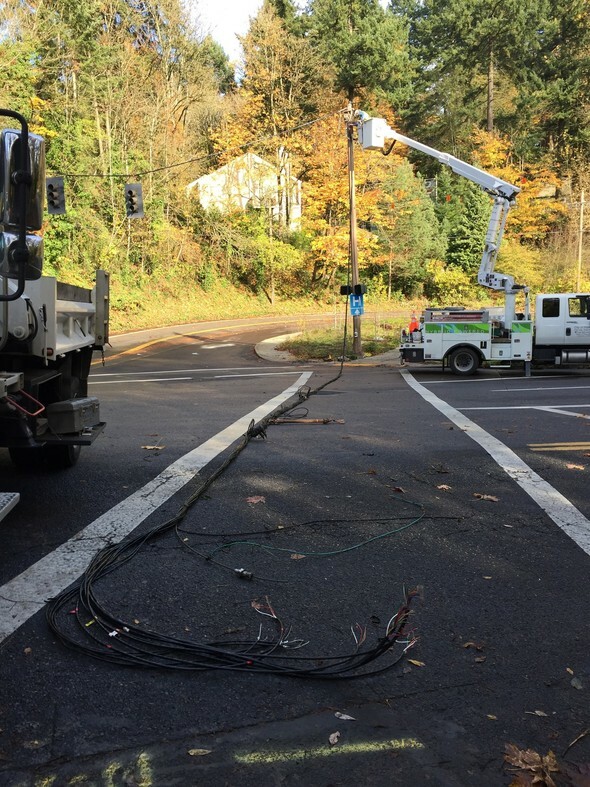 PBOT traffic signals crews work to make emergency repairs to traffic signals damaged in a crash on Nov. 3, 2016. Photo by Portland Bureau of Transportation.